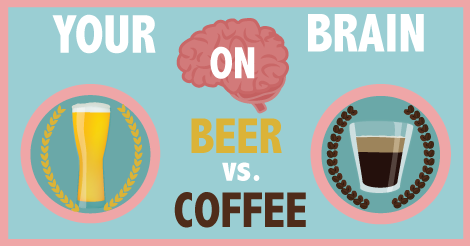 The other day, I came across a great article titled "Coffee vs. Beer: Which drink makes you more creative? "Mikael Cho, a blogger and co-founder of Ooomf. In the article, he scientifically breaks down how coffee and beer affect your brain. It was so interesting that I decided to make an infographic based on his article.